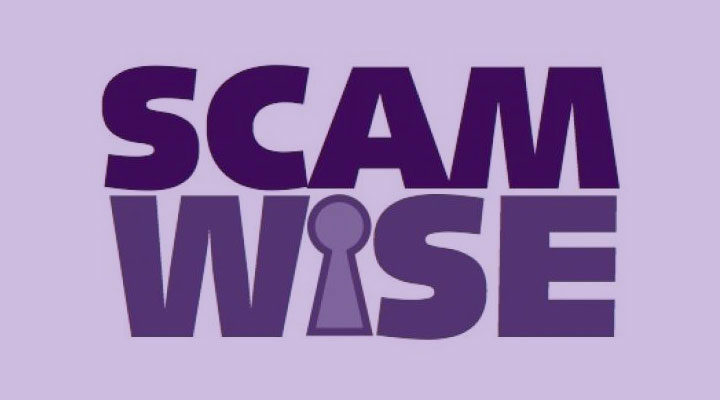 Our ScamWise booklet is free to download, which you can access by clicking the link below, and is packed with information about how you can spot a potential scam – before it’s too late. Alternatively there is a list of organisations to the right of this page which will be able to provide more services and information to protect you or help you if you believe you have become the victim of a scam. You should also contact your local authority as there will be a member of your local Trading Standards service who will be only to happy to provide assistance and advice. To find them, please visit the About Us page and locate your local authority’s name and visit their website by clicking the link provided. To make sure you don’t add to this shocking statistic read our information and become ScamWise. Detailed in the link just below this text is the ScamWise Advice Book. It’s full of helpful information including a series of example scams and advice of how you can resist them. There’s also a handy section in the back of the book that gives you guidance of the details you are advised to write down if a ‘scammer’ calls you or visits your home and tries to make you buy something from them. Local authorities and partners like Age Concern use this information in the book, along with a variety of other support materials, to inform the public about a variety of scams and how consumers can regain control and avoid becoming a victim.